It’s a strange collection of patterns. 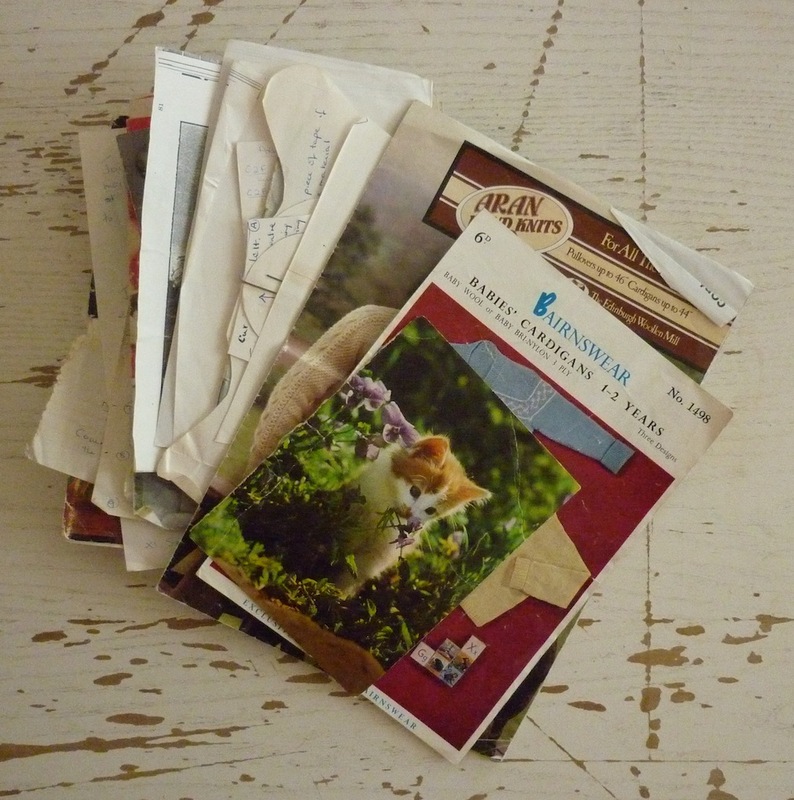 Some are printed, some are written down, some are for knitting, some are for sewing. I’ll take you through my new collection – I wish I had known the lady who owned these, because as you will see, there are some things that contain a story untold. A rather mundane collection of Aran knitting patterns, baby matinee jackets, baby booties and raglan twin sets. However, I like the Emu booklet: Ideas For Those Odd Ounces. 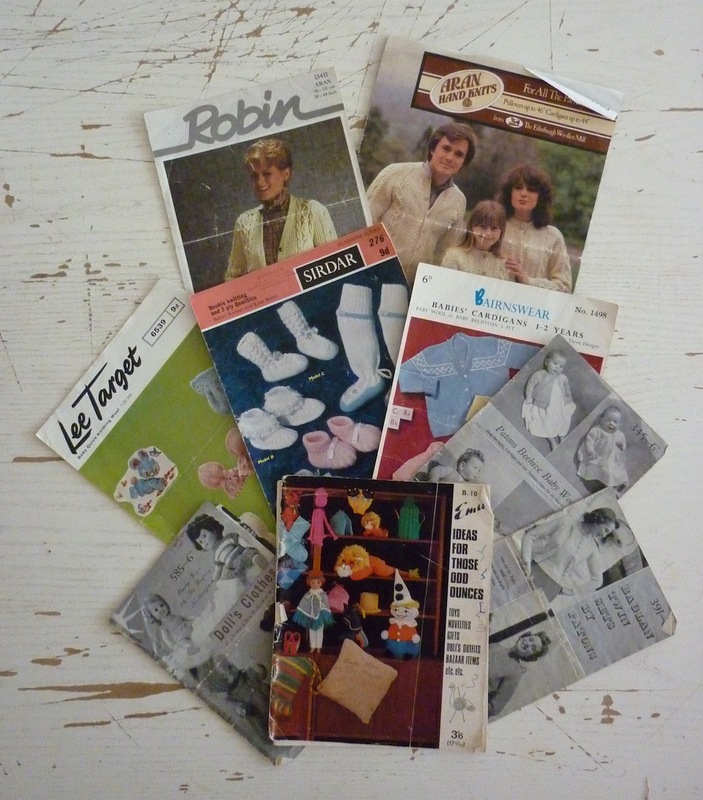 It contains a total of 32 patterns, including cuddly toys (I particularly like the donkey – you can see it better if you click on the picture and zoom in), some tea and coffee pot covers, child’s garments, hats, scarves, cushion cover, and something you wouldn’t see nowadays for obvious reasons: golliwog mittens. 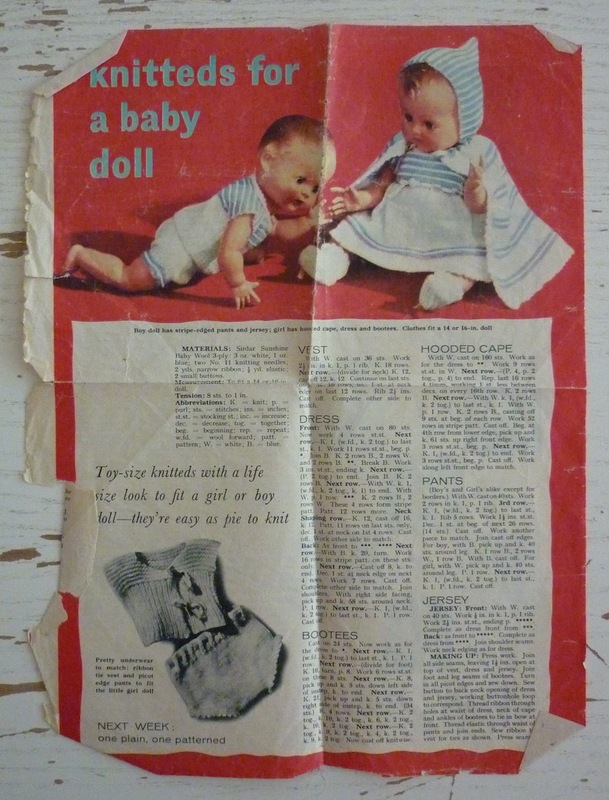 I want to frame the magazine clipping of the ‘knitteds for a baby doll’, I like the graphic design of it. Most of these are for dolls’ clothes, but one I mistook for a cooking recipe, as it is titled ‘lamb chop’, but I soon realised my mistake when I read the ingredients list; it starts with ‘ 2 x 50 gram balls DK, no. 9 needles”. You can see it at the top. I’m most curious to find out how that will knit up! However, on the backs you can find more patterns scribbled down, and a list of cable abbreviations. I think it is a nice way of using old cards, as it reminds you of the sender every time you use it. The kitten card actually has a ‘rabbit dress’ pattern on it. 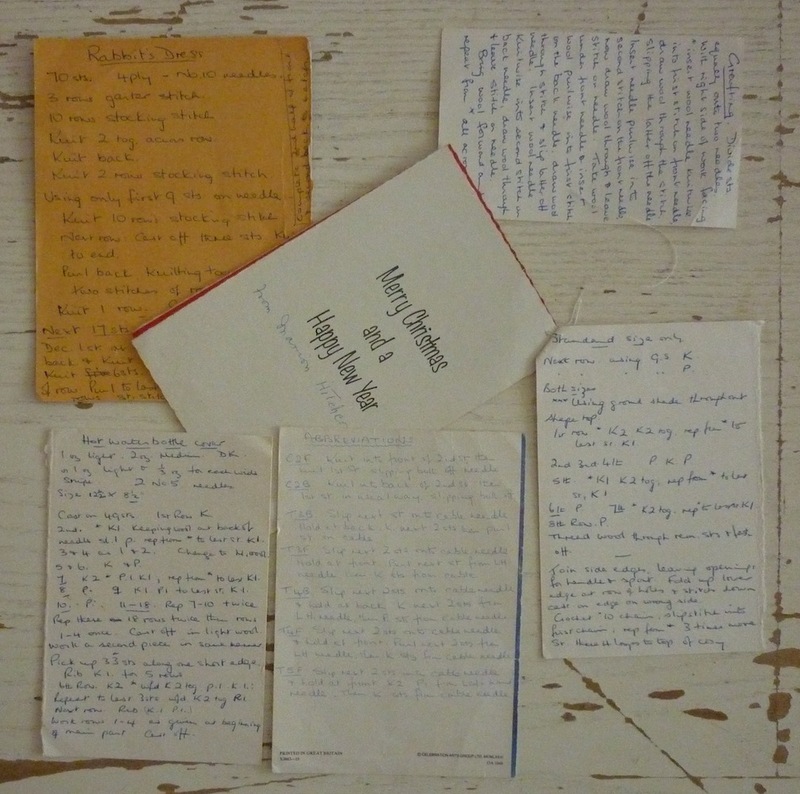 The Christmas cards in the middle have been sewn together with a few neat stitches. I can just imagine how this lady made dolls’ clothes and hand puppets for her grandchildren. I wonder if she would stage a little puppet show with them? The last item is an envelope. 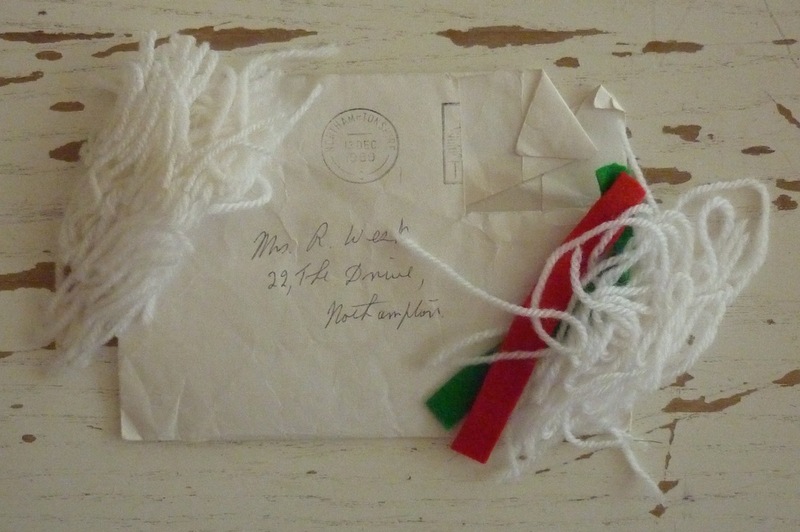 It contains a little clump of uniform lengths of white yarn, and some short pieces of ribbon. I wonder what this was going to be used for, and why she thought this was worth saving in a battered envelope. Perhaps if I read each pattern in detail, I will find out – in which case I will let you know! Fascinating to see the remains of one person’s life…What will future boot sales groupies think of our bits-and bobs…? If you want to know who lamb chop is…………search for ‘Shari Lewis and Lamb Chop’ on youtube, you will not be disappointed! What a wonderful find. Ah, that makes more sense. Another hand puppet! Perhaps she was a great fan of Shari Lewis and Lamb Chops? Those are christmassy colours in that envelope, Tom! The genealogist in me wishes the postmark on that envelope was 20 or 30 years earlier as I could have had a good chance of tracing her, and finding out who she was! (People get harder to trace into the 20thC as the most recent Census we can access is 1911). Ever since the 80s, we’ve raided charity shops for old ladies’ button tins. Quite often, you can score a complete tin full of stuff, even if the shop are trying to sell odd buttons from a tin… It’s always worth asking “How much for the lot?” We’ve found the lead weights for long skirts, Edwardian buttons – a brass biro, bizarrely – glass beads, silk thread, and all sorts. What a great find! I have just discovered your blog and have spent a very pleasant half hour rambling through it. I recently went through my late mother in law’s sewing basket and found a very ancient darning mushroom which probably belonged to her mother. There were many cards of very fine wool for repairing socks (invisibly, so of no interest to your Visible Mending Project!). 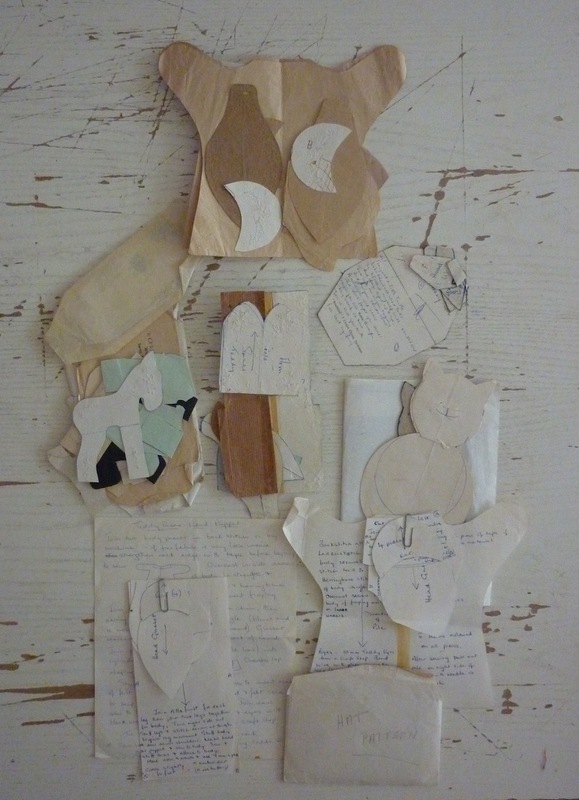 These cards were made up and sold for the express purpose of mending woollen socks – I haven’t seen them on sale in shops for years though I suppose some of the specialist haberdasher websites sell them. Somewhere I have similar ones retrieved from my grandmother, but they were smaller, and held silk thread for repairing women’s stockings. Mending wool is still available in many haberdasheries and craft shops; they’re usually next to the sewing needles and accessories. You can also buy them on eBay. However, the silk thread for stockings seems no longer available. I recently found a special darning egg for laddered stockings: it had a groove in it, so you could position the ladder over the groove and use a tiny crochet hook to hook up the ladder. Unfortunately it was in a sewing basket in a secondhand shop and they didn’t want to sell the egg separately and the whole basket was rather expensive and not to my taste. So I’m on the look-out! Tom – that is just awesome. 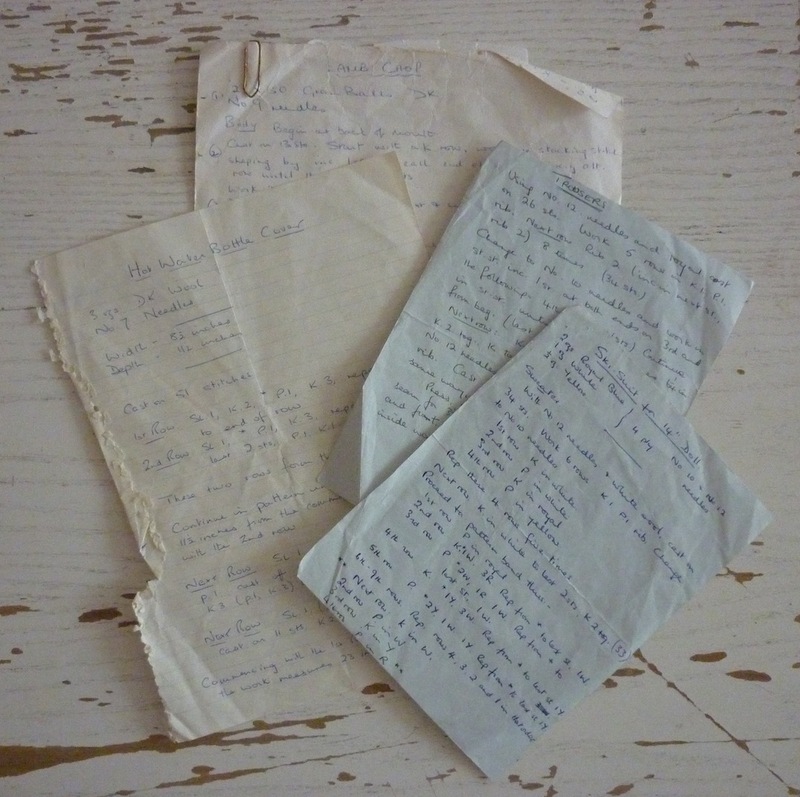 Amazing to think that all those written slips of paper and patterns were preserved somewhere and found their way to a Brighton Boot Sale. I too like the sound of the donkey which seems to appropriate for the run up to Christmas. The darning egg and hook for ladders sounds like the sort of thing a girl needs in her sewing basket. I had real trouble dealing with the little ladderettes forming round a hole when I fixed one yesterday morning! Ladderettes. Colleen, that’s the word of the week for me! How is the darning going? Piling up, Tom. Piling up… And I think I need to practice my swiss darning again before I forget it. A wonderful post, Tom, and lovely to read the comments. I too am very taken with the idea of the darning mushroom with a groove down the middle; and I also very much like the way that you have inventoried your Car Boot find here for us all to ogle. I like the thrifty Christmas cards and your suggestion that they would bring seasonal cheer to the knitter every time she referred to them. 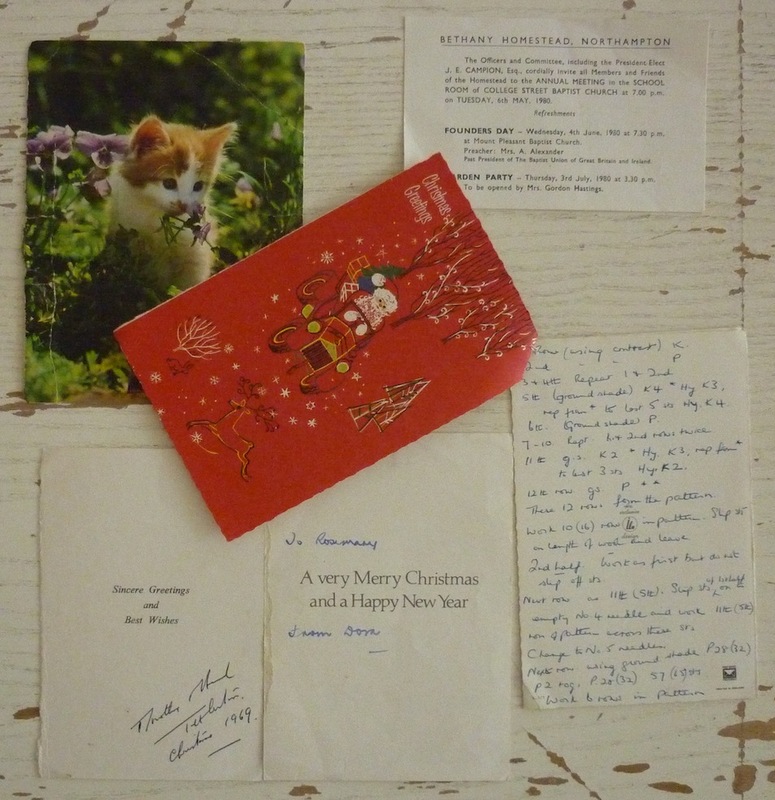 Most of all, I want to know what the Christmas coloured bits in the envelope were being saved for!